Have you been dealing with Tourette Syndrome and feel like you have beat the odds? Have you found ways to beat this medical condition? Then you may be interested in joining the Can’t Let “It” Win Contest. Everyone has some sort of challenge they must overcome in life. Some challenges may be small while others are large. The barriers placed in front of us sometimes prevent us from achieving our goals, while other times it helps build character and allows us to follow our dreams. Hence, the true gift of ones self is the way you handle the challenges placed in front of you and how you move forward. We learned from the book and movie by Brad Cohen, Front of the Class, that we can’t allow “it” to win. For Brad, Tourette Syndrome was his “it” and he didn’t allow Tourette Syndrome to get the best of him. He learned to embrace his challenges by keeping a positive attitude and never giving up. This contest is a way to continue the positive energy that was seen after people watched Front of the Class. It is a way for people to be inspired by others’ stories. We are looking people of all ages to share how you made it through your difficult times with Tourette Syndrome to eventually find success. Your story should inspire others with Tourette Syndrome to be the very best they can be in life. 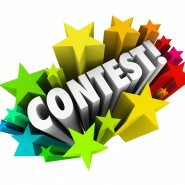 The format of this contest can take form as an essay, song, art, video, photography, the use of technology, poetry, etc. We encourage your creativity. In the email, include your name, where you are from, your age and contact info. *Once submitted, the items become the rights of the Brad Cohen Tourette Foundation to use to help promote and support the needs of children with Tourette Syndrome. Winners will be announced prior to the Atlanta Tourette Syndrome Conference on June 4, 2016. Items will be featured at the conference.